Happy Ganesh Chaturthi Wishes: We have created an epic collection for you to share it with your friends and family on the Ganesh Chaturthi! 1. Sending across my prayers and warm wishes to you and your family on Ganesh Chaturthi. Happy Ganesh Chaturthi! 3. Hoping this Ganesh Chaturthi will be the start of year that brings happiness for you. 4. 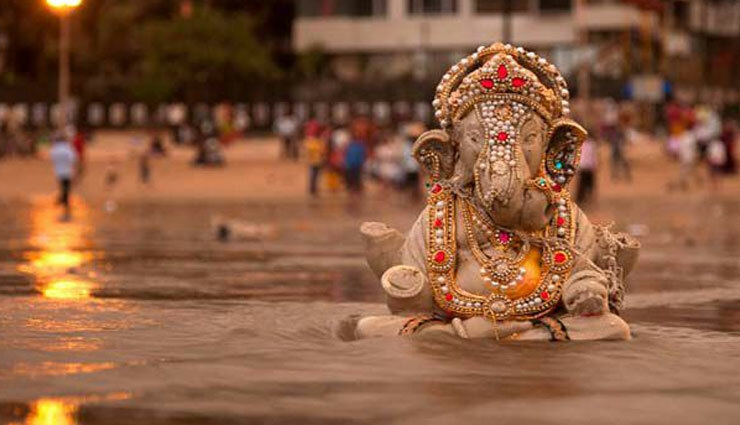 May the blessing of Lord Ganesh always be upon you! 5. I wish you happy ganesh chaturthi and I pray to God for your prosperous life. May you find all the delights of life, may your all dreams come true. Happy Ganesh Chaturthi! 6. Happy Ganesh Chaturthi, may lord ganesh bless you with the treasure of health, wealth and happiness. 7. May lord Ganesh come to your house and take away all your laddus and modaks, along with all your worries and sorrows. Happy Ganesh Chaturthi! 8. I heartily wish lord Ganesha filled your home with prosperity and fortune. Best wishes on Ganesh Chaturthi. 9. May lord Ganesha the mentor and protector of evil bless you and enrich your life. 10. May lord Ganesh shower you with success in all your endeavours. Happy Ganesh Chaturthi!